Early bird pricing of $140 available now through May 15, 2019! Join Elijah’s Promise on Monday, June 10th for our 20th Annual Chef’s Night, our largest and most delicious fundraising event of the year! Experience over 30 of the area’s best restaurants serving spectacular food to over 500 attendees at the lovely Palace at Somerset Park. Registration is limited so please make your reservations early. All donations are tax deductible* and benefit the Promise Culinary School! All but $25 of ticket cost is tax deductible. View a recap of our 2018 Chef’s Night Event. 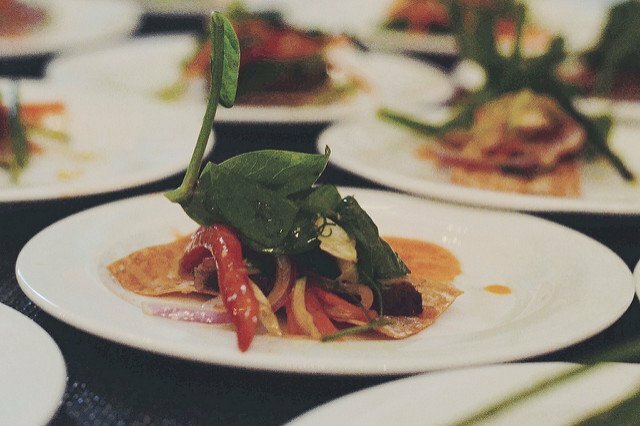 Chef’s Night is our largest fundraising event of the year! Please be our partner by sponsoring this event. View our sponsorship opportunities and sponsorship form in our 2019 Sponsorship Letter. Contact Michelle Wilson at (732)545-9002 Ext 126 or Michelle.Wilson@elijahspromise.org with questions on how to become a sponsor for our 2019 Chef’s Night event. Interested in donating to our silent auction and raffle? Find more information about donating to our auction in our 2019 Auction Letter. Contact Michelle Wilson at (732)545-9002 Ext 126 or Michelle.Wilson@elijahspromise.org with any questions. The Promise Culinary School is a state accredited job training program founded in 1997 by Elijah’s Promise to train unemployed and disadvantaged individuals to become working professionals in the food service and hospitality industries. Since its inception, this nationally-recognized program has received state-wide recognition, training over 900 students who have gone on to be employed by restaurants, hotels and corporate cafeterias throughout New Jersey. In addition to culinary arts, Promise Jobs teaches job readiness and life skills to empower students to make the transition from dependency to self-sufficiency. This year Elijah’s Promise will be toasting Matrix Development Group, The Robert Wood Johnson Foundation and Lisanne Finston as a thank you for their extraordinary efforts to support the mission of Elijah’s Promise!